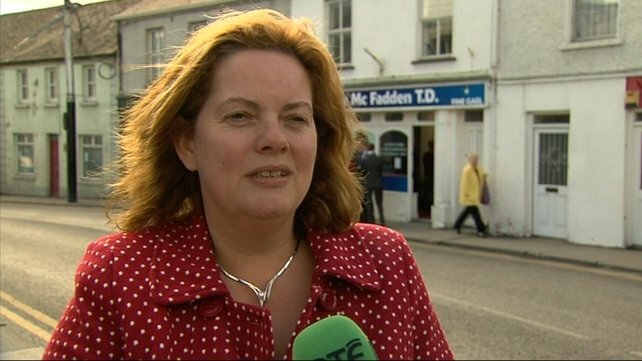 Mourners attending the funeral of Fine Gael TD Nicky McFadden on Thursday were told that they were celebrating the “rich tapestry” of her life and entrusting her back to God. The funeral Mass in the Church of Our Lady, Queen of Peace, Coosan, Athlone, Co Westmeath was concelebrated by Bishop John Kirby of Clonfert and Bishop Colm O’Reilly, the retired Bishop of Ardagh and Clonmacnois. President Michael D Higgins, the Taoiseach Enda Kenny, the Tánaiste Eamon Gilmore and several members of the Cabinet were among the mourners. The chief mourners were Nicky McFadden’s daughter Caren, her son Eoin, and her sisters Gab and Aine. The slow onslaught of her sickness saw Nicky embrace this challenge, as she had done in the past, with all the determination and fight she could muster, he said. He told the mourners that in their pain and loss, they would turn to God, sometimes to ask why. He said God believes not in quantity of days but in quality of living. Referring to the Gospel read by Bishop Colm O’Reilly, Fr Shannon said it reminded them of what the final judgement will be like.